The Stag Bar and Hotel first opened its doors in 1908 following the completion of the historic two story building it has called home for over a century. A storied past with a deep-rooted history adds to the charm and unique character of one of the oldest continually operating bars in southern California. Located on the Balboa peninsula at McFadden Square just steps from the Newport Beach pier, The Stag quickly became a favorite watering hole among locals and visiting tourists alike. Typical for bars of the era, The Stag was also known for card games and gambling. In addition to providing seasonal boarding to trade workers and fishermen of the nearby Dory Fleet Fish Market, legend has it the hotel rooms above the bar, at one point or another, also served as a brothel. 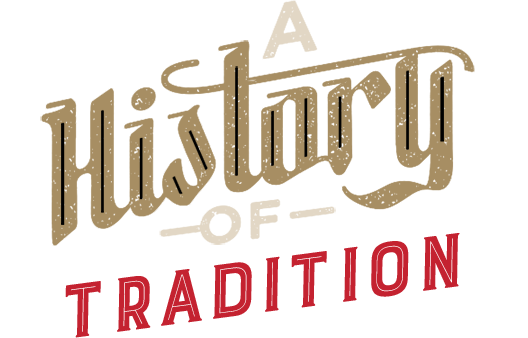 During prohibition, at which time the name changed to the Stag Cafe, it is rumored beer was brewed and offered upstairs, while sarsaparilla and billiards kept the doors open at the bar downstairs. Following the end of prohibition in the early 1930s, The Stag was completely remodeled as a modern-day martini bar. 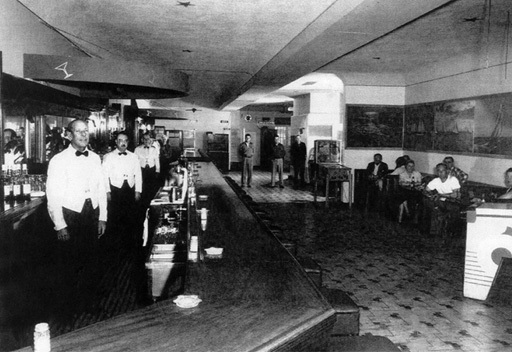 The saloon-looking taxidermy, gun rack and spittoons gave way to more upscale fixtures, including a restyled bar and back bar with period art deco features. The dark mahogany bar was also extended to nearly 100 feet in length, making it the longest bar in the city. This is the very bar you can order a drink from today. While here, check out the framed black and white pictures of the bar in those early days. You’ll also notice the familiar stag head taxidermy and gun rack once again resting over the back bar. Over the decades, The Stag became that old familiar place where everyone gathered for a drink, a game of billiards, and some good social time. Although showing its age, during the 1970s and 80s, The Stag continued its popularity to yet another generation of loyal patrons. If walls could speak, ours would tell an old familiar story from generations past. Marking its centennial, in 2014 the bar underwent a complete restoration and expansion. The restoration not only returned the bar to its former grandeur, an expansion into the adjacent Stag Liquor store provided room for new larger bathrooms, the installation of a full kitchen, and additional comfy banquette seating with patio-like ambiance overlooking the boardwalk. With completion of the expansion and remodel, the bar was rechristened The Stag Bar + Kitchen in late 2015. The rooms upstairs were also converted into luxury suites, available for weekly and seasonal rental. Enduring different stages of renovation, and expansion, today, The Stag remains better than ever after years under the same family ownership. Guests continue to enjoy their favorite beer and cocktails while socializing and shooting pool, just as they have for over a century. Only now The Stag is also filled with the infectious aroma of freshly baked pizza. Nothing really compares to the warmth of an historic establishment and if walls could speak, ours would tell an old familiar story from generations past.